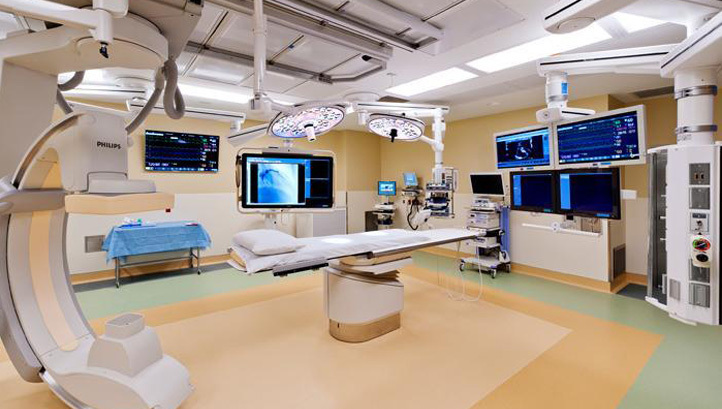 Human Circuit has designed and built 28 clinical skills and simulation systems throughout the United States. In many cases, it’s time for a system refresh. From the time of our first clinical skills system installed at George Washington University in 2001, there has been a gradual evolution from analog to digital signal distribution. Many technologists refer to this as the “Analog Sunset” as analog devices and analog signal distribution become obsolete. Advancements in signal processing, AV over Ethernet and web-based control have simplified simulation and clinical skills systems making them more affordable, easy to use and easy to expand. For example, most clinical skills and simulation systems built prior to 2015 have a mix of analog and digital infrastructure. In some systems, analog audio and video sources are routed through an analog infrastructure and digitized for recording. In other systems, audio and video is distributed over HDBaseT through an HDBaseT matrix. Human Circuit avoids the use of AV routers. This includes HDBaseT matrix switchers. In concept, an AV matrix adds versatility and redundancy by providing one source to many destinations. However, in practice, an AV matrix creates a more complex signal flow that can be confusing to the end user and adds additional cost to control system programming. In modern installations, signal flow has a one-to-one correlation between sources and destinations. In the few instances where sources are distributed to multiple destinations, multicast over IP is our preferred method. No need for an AV matrix. Likewise, many systems that include AMX or Crestron control panels depend on antiquated control systems and infrastructure. Human Circuit replaces purpose-built touch panels with all-in-one PCs running Windows OS, a web-browser and user interface based on HTML 5. Human Circuit replaces obsolete analog infrastructure and proprietary purpose-built equipment with Ethernet infrastructure, HTML based control systems and open-source media management tools. Ethernet offers an OSI (Open Systems Interconnection Model) that facilitates content and signal distribution throughout a facility using IP packet switching and is extensible globally via the world wide web. HTML is the standard for creating web pages and web applications. Control systems based on HTML are easy to program, open in a web browser and enable BYOD (Bring Your Own Device) workflows. Today’s HTML 5, when combined with simple open-source web servers, can provide the real-time feedback and user experience that once gave purpose-built control systems an advantage. Open-source media management tools running on off-the-shelf servers and network attached storage can provide recording, indexing and playback of video content within an HTML based control system. Recently, Human Circuit added AI (Artificial Intelligence) driven classification systems to automate naming and indexing of recorded video. Human Circuit is an applications engineering firm specializing in the design, integration and support of digital video acquisition and distribution systems. Our design philosophy will challenge the best practices and assumptions made by traditional AV integrators and manufacturers. We believe that overly complex, problematic and inefficient AV systems are a by‐product of an outmoded AV industry. With a “less is more” school of thought, Human Circuit’s applications engineering team provides a simpler, efficient and cost‐effective alternative to existing clinical skills and simulation systems.